ARIES (March 21 to April 19): Don’t be Sheepish about asking questions and demanding answers. You not only gain needed information, but also respect for your steadfast search for the truth. TAURUS (April 20 to May 20): A money problem that shows up early in the week is expeditiously resolved by savvy Bovines who know how to turn a momentary financial lapse into a monetary gain. GEMINI (May 21 to June 20): It’s a good time to shed negative energy-draining forces and develop a positive approach to handling current, as well as upcoming, personal and/or professional situations. CANCER (June 21 to July 22): Your urge to do your best on a current task is commendable. But don’t let it become all-consuming. Spend some spiritually restorative time with those who love you. LEO (July 23 to Aug. 22): This could be a good time for all you Leos and Leonas to take your bows for your recent achievements and then go off to enjoy some fun times with your prides and joys. VIRGO (Aug. 23 to Sept. 22): A negative response to a well-intentioned suggestion could communicate a sense of distrust you might later find hard to refute. Think carefully before reacting. LIBRA (Sept. 23 to Oct. 22): Your loving attention comforts a family member who is feeling a bit out of sorts. But be careful to prioritize your time so you don’t neglect your work duties. 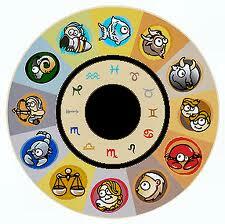 SCORPIO (Oct. 23 to Nov. 21): Your curiosity might be resented by some. But those who know you will support your penchant for never settling for less than the truth. So stay with it. SAGITTARIUS (Nov. 22 to Dec. 21): A pesky situation from the past recurs, albeit in an altered form. Deal with it promptly before it can go from merely irksome to decidedly troublesome. CAPRICORN (Dec. 22 to Jan. 19): Don’t wait too long to submit your proposals after giving them a last look-over. If necessary, you should be able to defend any portion called into question. AQUARIUS (Jan. 20 to Feb. 18): A bid to use your workplace dispute-settling skills in another situation is tempting. But be careful: You might not have all the facts you’ll need if you agree to do it. PISCES (Feb. 19 to March 20): That sense of self-doubt is so untypical of you, you should have no qualms in shaking it off. Remind yourself of all you’ve done and can do, and then do it again. BORN THIS WEEK: Your ability to charm others without sacrificing sincerity is what makes people want to follow your leadership. (c) 2018 King Features Synd., Inc.